Our commitment goes beyond the sale of a vehicle. We provide a personal experience of finding the right vehicle to match your lifestyle. For new vehicles, we offer a 110% Price Match Guarantee and will give you the best price based on a competitive local market value. We offer the YOU+ Service Plan for you + your vehicle, so you can have peace of mind and a feeling of safety when driving your automobile. 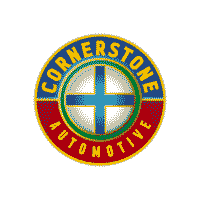 Our values are important at Cornerstone Auto. We believe in our customers and strive to to follow our values with a purpose of connecting with our customers and instilling our values into every purchase and transaction every day.